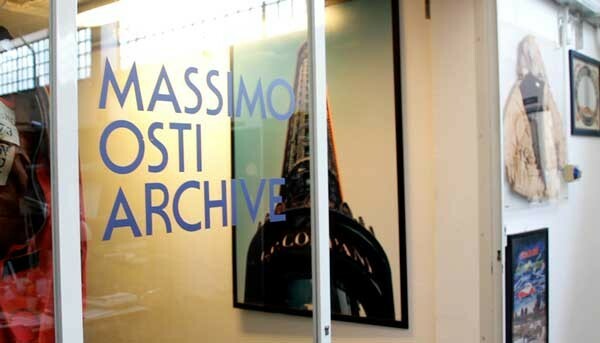 Lorenzo Osti’s family history is well documented. 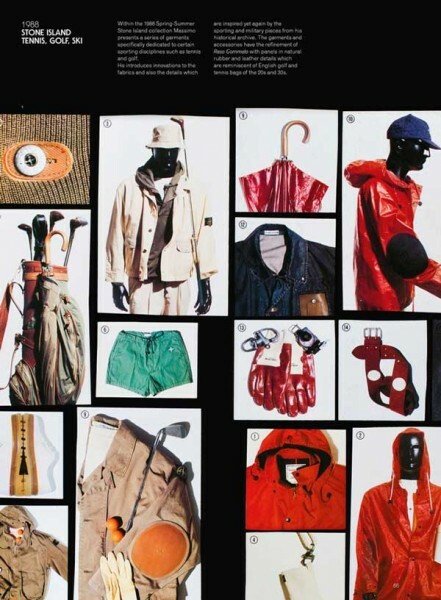 His much missed father, Massimo Osti, was the revolutionary Italian designer and creative force behind brands such as Stone Island and CP Company. His unique experiments in fabrics, textiles and clothing transformed the fashion industry and it falls to Lorenzo to manage and preserve this unique collection. 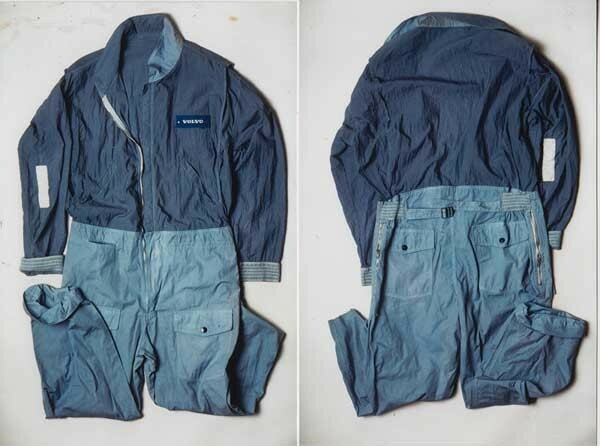 The Osti Archive combines a unique collection of twentieth century uniform and clothing with Massimo’s experiments, designs and fabrics. 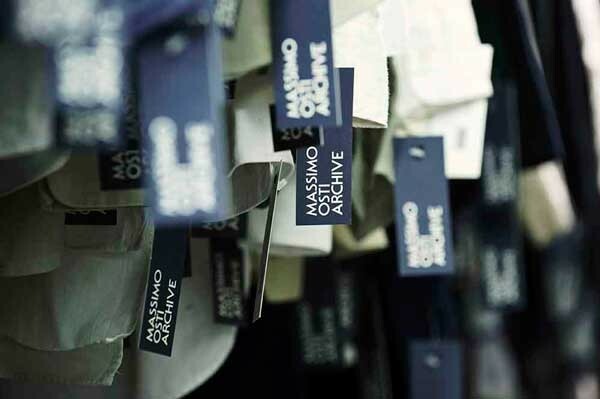 We met Lorenzo to chat about the rich history of the archive, his father’s legacy and his own personal uniform. Congratulations on the birth of your baby, Lorenzo! How is it going? Thank you. Very well, I’m also sleeping so it’s going well! So, my father always collected garments for his own research for work and he amassed an archive of more than 45,000 garments. Understandably, it became very difficult to manage. 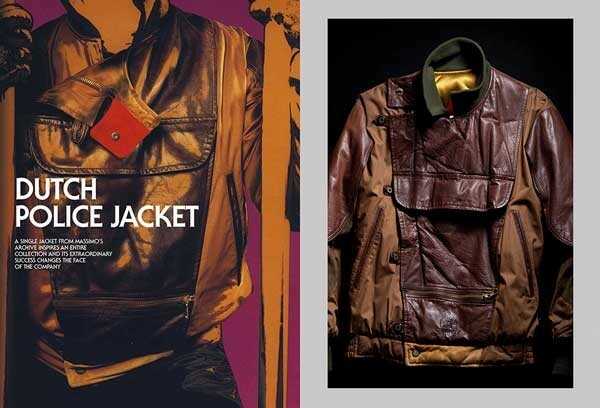 He decided to sell it, and in 2000 the designer David Chu (Nautica) bought it from him. The archive moved to Hong Kong and remained in a warehouse for nearly ten years. My father retained a small personal collection that wasn’t part of the sale and after a while he realised that he wanted one complete archive, so he started to rebuild it. We had some pieces from the original collection – his personal archive – then he started to collaborate with Levi’s for the Dockers project. From then he started to rebuild the archive and now it has more than 5,000 items. So the new archive was very small, compared to the original one, but very focussed. 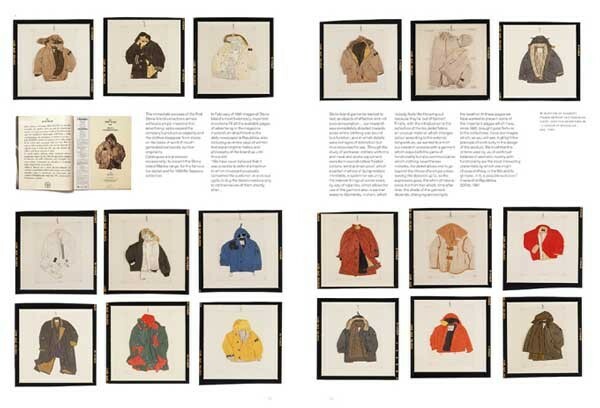 It had 5000 garments plus the fabric archive, which he didn’t sell, which has more than 50,000 samples. The latter part was the part he never wanted to sell; it was the core of his work. In 2005 my father passed away and we found ourselves with this huge collection. It was for his personal use, but it was badly organised and only he knew how to use it and access individual items. So how did you approach this mammoth task? We started a long process of archiving: we produced a database, we photographed everything, we put a barcode on every single item, slowly creating a digital version of the archive. When we’d completed this process we thought, ‘now, what do we do with all of this? !’ It’s huge, it’s very significant, it tells a big story, but we have to find a way to make a use for it. My main aim was to bring his knowledge to a new generation. We know that now, young guys who wear Stone Island know nothing about my father or the extensive research he did. That was my main objective. 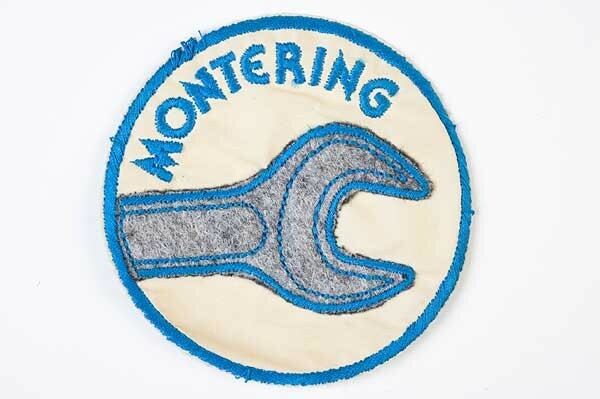 We also needed a way to finance it, so in 2007 we started to collaborate with Ma.Strum. I met the owner through friends, and I really liked his approach. He’d never been to Italy before, but he knew my father’s work, and the way we approached his work was very similar; he was passionate about fabrics and military inspiration. I really enjoyed the first seasons, but the company started to struggle and in the end the Ma.Strum brand was sold. The relationship there didn’t work out, which was a shame; we were trying to build something current and respectful but the relationship didn’t work. Our focus since has been on education – we teach lessons at universities in Bologna – and we have visiting designers and enthusiasts. I have an ambitious idea about creating a digital archive that will become a hub for sportswear professionals and enthusiasts. I’d like to develop research or discussion through this. It needs a lot of money and for two years I’ve been scouting for funding. I’ve been in touch with UK design schools, but its still a work in progress. How much of the archive is uniform and has that been a resounding theme? The answer, of course, is yes. All my father’s work is inspired by military workwear. 100%. He used to collect books about uniform, particularly from the 1930s and 1940s, and we have a huge library of these, too! Can you think of any particular uniform projects your father was involved in? Yes. 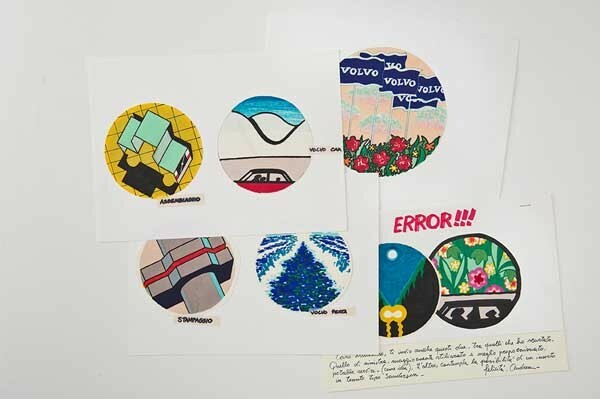 My father was approached by Volvo cars to design the workwear for them. 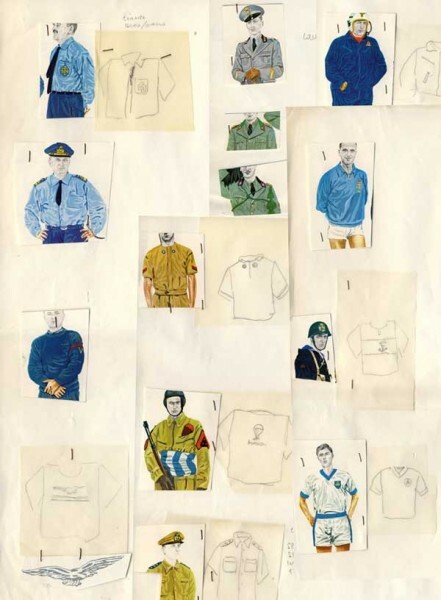 It was a very strange project, of course now it’s common for a designer to design the uniform. He designed a workwear suit and he worked with the Italian artist and cartoonist Andrea Pazienza, who created the logos for all the different departments. They were all hand made drawings that were actually very difficult to use in the end, but they were beautiful cartoon-like illustrations. Why do you think your father was so interested in uniform? He always used to say he loved uniform because ‘everything is there for a reason’ and everything has a function. It’s so important to study uniform, because from every small detail you can understand the function. 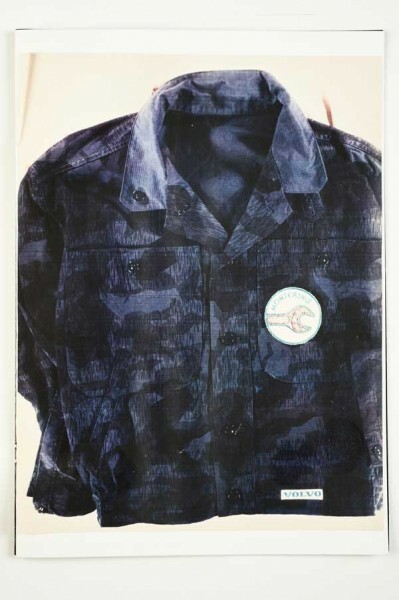 His whole process was taking inspiration from uniforms or workwear and mixing that with different details; they weren’t necessarily functional in his designs but they were inspired by functional details. It was the process of evoking a certain period from another place in the world or from another story – to bring the idea of functionality. For example, with the C.P. 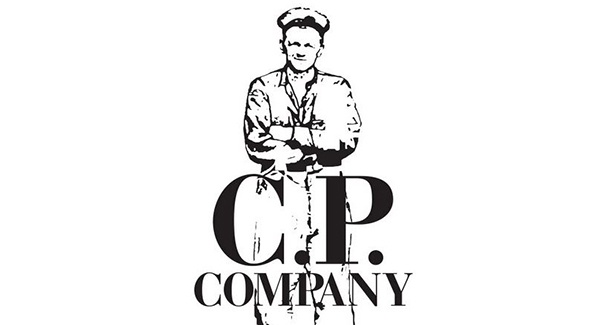 Company brand, the guy in the original label is a submarine mechanic that came from a book we have in our archive, about military workwear that looked at workers behind the scenes. This is something that you’ll find throughout all my father’s work. What do you think was the most defining or significant area of your father’s work? I think the most defining thing is garment dying. Garment dying had a huge impact on the industry as a whole, because it changed the aesthetics of sportswear completely. You would never have imagined that people would buy clothing that looked ‘old’ either! 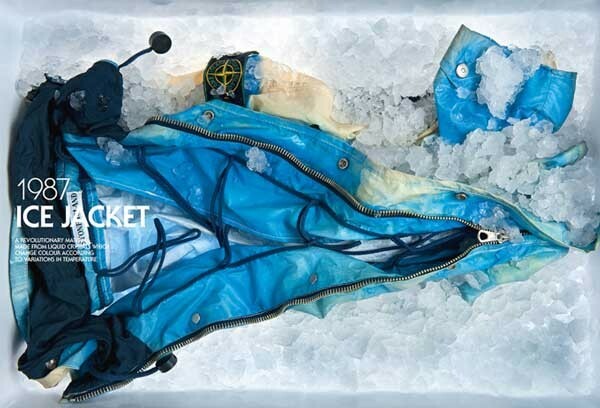 The Ice Jacket, where the fabric changes with the climate, was very impressive, although not so signficant in the market. Stone Island is doing a great job and has maintained a lot of visibility and momentum. The family made a good job keeping the brand alive. But, at the same time, I think that fashion now is really different – what was possible to do during my father’s era is very difficult to replicate now. At that time there was a lot of research and development and sales allowed for expensive tests: you could throw away 98% of what you did and still be profitable. I don’t want to say that there is no innovation, but the ‘big things’ are always the same – at the end of the day everything looks similar. During your father’s era he invented things they were useful and innovative. Experimentation now can only be pushed so far, or it airs on the side of ludicrous. How do we continue to push forward? I totally agree. The market has changed so much. At that time, without high street brands, clothes were a real status symbol. If you didn’t spend money people knew it. It was clear if you were cheap or not. I remember that jackets were more than a month’s wage. Today you can look great spending less. It’s not so necessary anymore. It’s not as strong a status symbol as it was during my father’s time. Contemporary brands are obsessed with heritage and established British brands like Burberry and Aquascutum perform well overseas. Why do you think this is? Everybody is looking for a story and to have something to say, even about the clothes they are wearing. Many brands offer people the opportunity to dress well, but cheap brands are always missing the story. Heritage brands have this position that is very interesting to me. I want to have something I can tell a story about, something with origin that has come from somewhere. It could be contemporary and not necessarily related to history: a story can be a story today. Uniforms do this. What do you think makes people buy luxury today? The general number of people buying luxury clothing is much smaller. But, people will always be aspirational and want to belong to something. In sportswear, people who spend money want to have something special with a story to make them stand out from the crowd. What is your own personal uniform? I have a very basic uniform, but I always dress the same. I wear Florentina + Baker shoes, a fantastic Bologna shoe brand with two stores in London. They offer great quality footwear handmade in Italy. I buy one pair and wear every day until they’re destroyed and then I buy a new pair. I always wear denim – Edwin or, more recently, Muji. Muji is very focussed on functionality. I wear light pullovers and blazers from Tonello – it’s the blazer that fits me perfectly. I dress like this all the time. Blue is my colour. I get this from my father, he dressed the same every day too: khaki dockers pants, a black blazer and a white shirt. Always. I’m passionate about apparel and I like to research the quality of garments, but at the same time I don’t want to bother myself with deciding what to wear every morning. When you have that established you can put your mind to something more interesting. Does your own uniform differ in your leisure time? Not really. I wear the same at weekends. I like to wear blazers in the week, but just sweatshirts at weekends or a simple shirt in summer. I’m pretty boring, but it works for me! I don’t have to wear a uniform imposed by my work, so I define my own uniform. Who are your favourite creatives working today? My two favourites are Paul Harvey and Errolson Hugh. Errolson is the most talented sportswear designer around and I’ve met him a couple of times. I’m following his brand Acronym. There is so much research behind each product and emphasis on function. Every part of his designs exist for a reason. I discovered a year after meeting him that he interned with my father! He told me a great story about being a young designer working with him. My father gave him a brief and at the end of the day he presented his ideas to my father. My father walked to to the archive and found a garment that he’d already designed that was exactly the same as Errolson’s design! 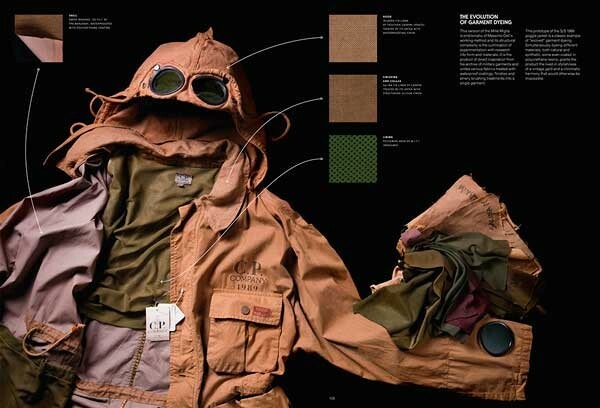 Paul Harvey, my other favourite, still designs CP Company. His brand Ten C is incredible. I’d love to have them working together sooner or later!